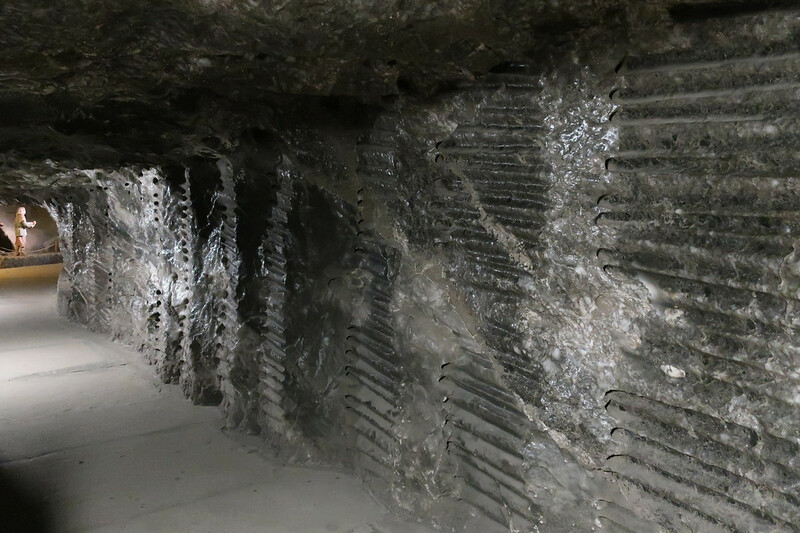 The Wieliczka Saltmines comprise of 20 chambers connected by around 3km of tunnels which lie 135m underground. It’s one of the most popular attractions in the area and is an easy daytrip from Krakow. 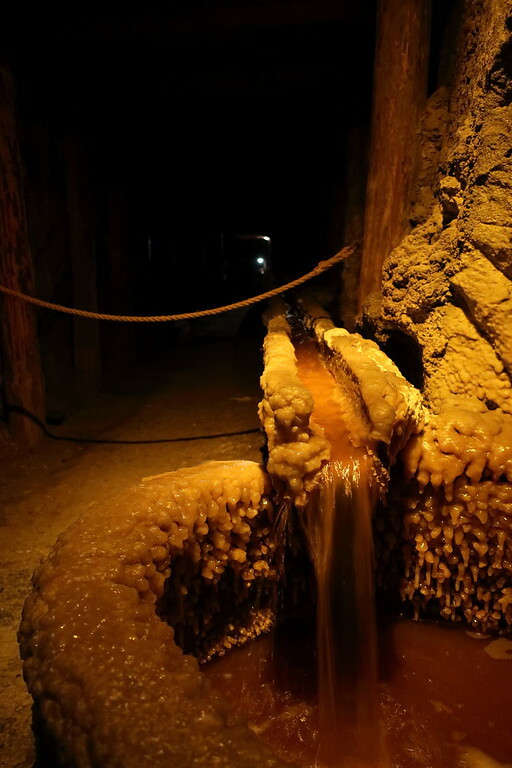 Salt production by evaporation can be traced back to the 10-12th century in Wieliczka. Rock salt was discovered in the 13th century and the first shafts were dug. Rock salt extraction was terminated in 1964 and in the interim the mine sprawled into a vast complex of tunnels and chambers. Stay with your guide, you’ll pass many alluring passages, but don’t be tempted as the risk of getting lost is quite real. 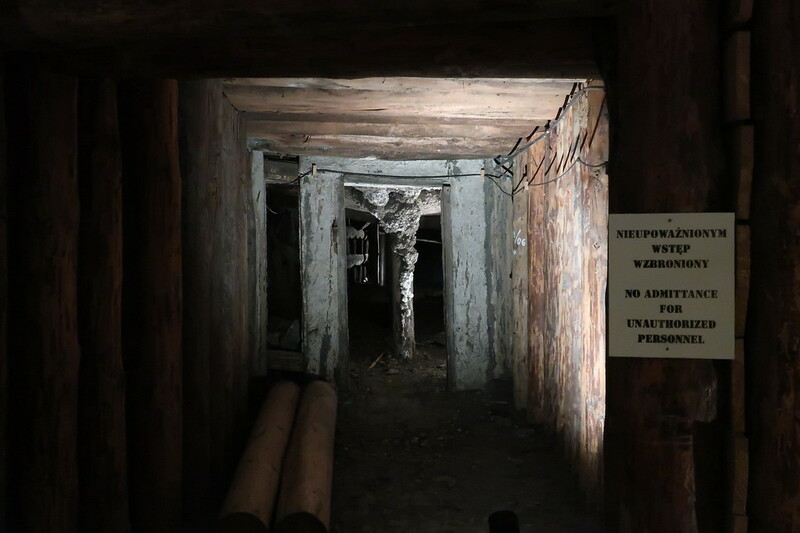 For information about tickets and how to get to Wieliczka Saltmines, either skip down the page to the end or buy tickets including transport from Krakow directly online. Your guided tour starts with a descent down 350 steps. You’ll feel the temperature drop and you’ll notice that the walls seem to shine. This is salt. You might be tempted to lick it to verify but I would consider how many others before you have done just that. 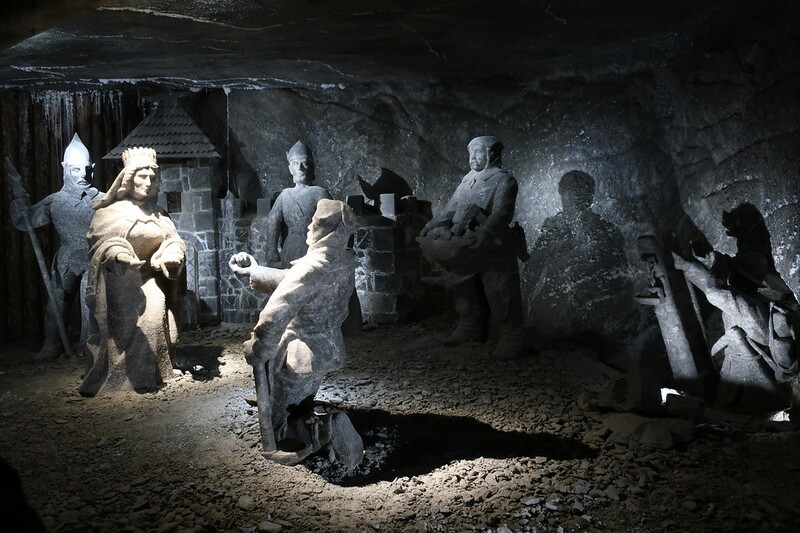 Your tour guide will explain what you are seeing as you pass through each chamber and you will see a mixture of exhibits that either tell the story of the working mine or the legends surrounding it. The legend of Kinga tells of how she brought the salt to Poland. 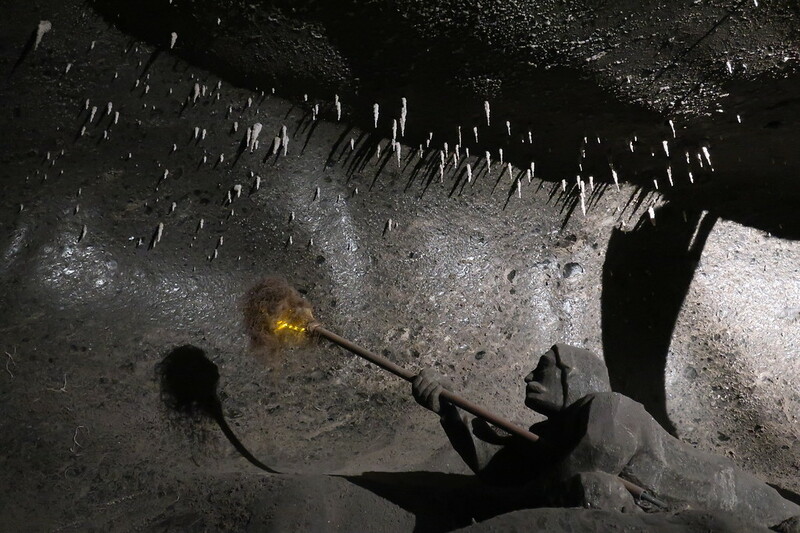 Methane can easily build up in the mine of one of the exhibits depicts workers deliberately lighting the methane in order to remove it. Your tour winds further down and you will see replicas of horse powered winches used to bring salt to the surface. Examples of the evapouration salt extraction are still in evidence. As you wind your way down you can start to appreciate the depth and, at one point looking up, you start to get the scale. 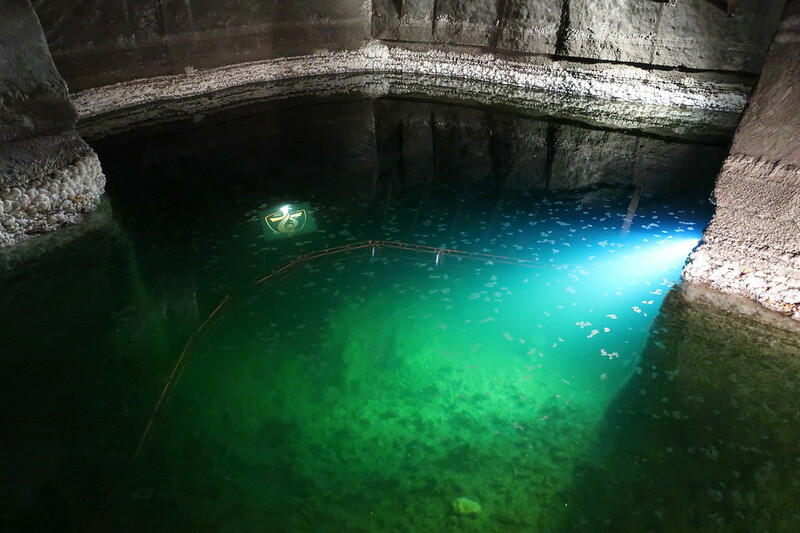 The site is so deep that it could fit the Eiffel Tower and the tallest chamber is 36m high. 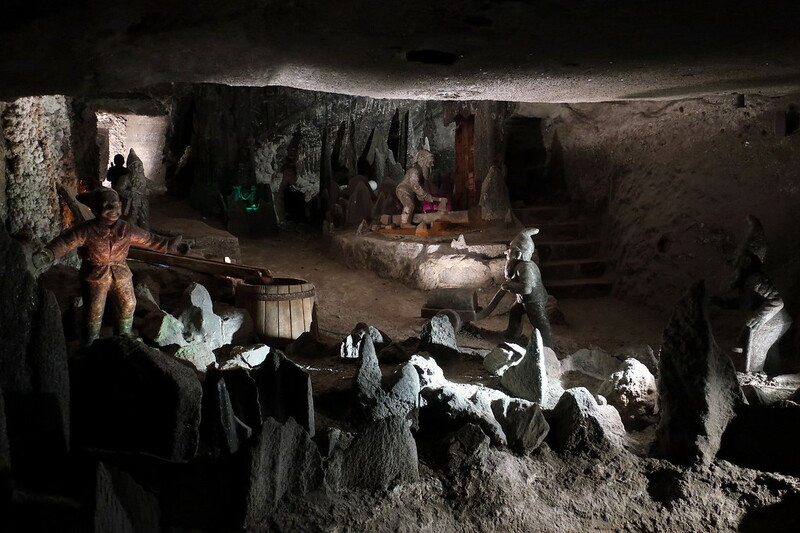 The Wieliczka Saltmines also claim the only enderground church in Europe complete with a unique statue of John Paul II and a chandleier that is quite decadent. Along the way you will also notice salt lakes, which are so salty scuba divers could not use enough weight to descend. 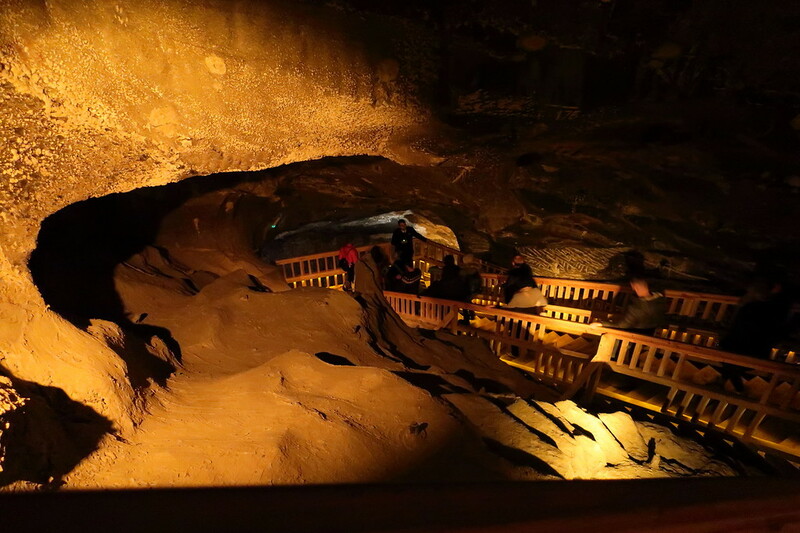 Towards the end of the tour you’ll pass through a gift shop in an impressive chamber and have the opportunity to buy salt, crystals and other souvenirs before heading back to the surface. The mine also offer other tours depending on your interests. 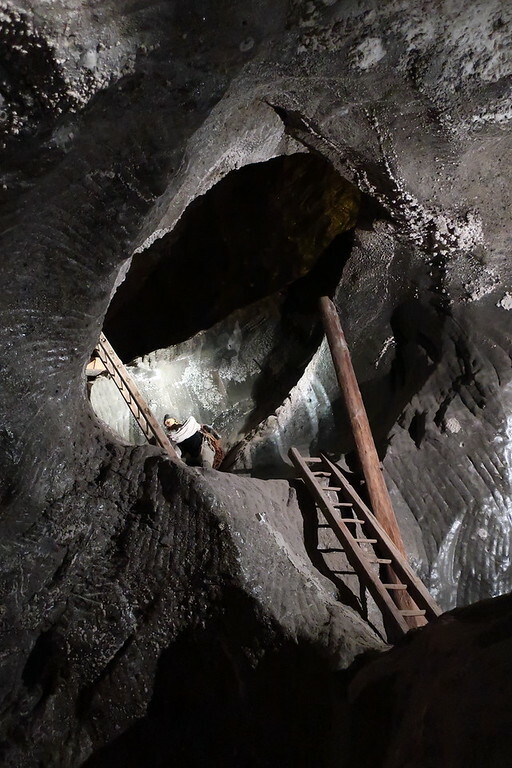 There is a hands-on Miners Tour which allows you to experience a mining task alongside a foreman who will evaluate your execution of the task as you learn the ropes. Apart from the chapel, there are a number of religious sculptures and sites along the way, and you can opt for the Pilgrims Route which culminates in Holy Mass being said in the chapel. The easist way to arrange your visit is via a company like Get Your Guide. They will pick you up from your hotel, take you there, skip the queue, ensure you meet your guide and be waiting for you when you exit. You can also buy a combination ticket and tour which will include the Salt Mine and Schindler’s Factory. This is a great combination for a day trip. There are tickets that combine the Wieliczka Saltmines and Auschwitz-Birkenau but this is an 11 hour day. If you have very little time and a lot or stamina then opt for this. Otherwise, give Auschwitz-Birkenau a day to itself. You can buy your ticket directly from the Wieliczka Saltmine website but this does not include transport from Krakow. If you want to take the Miners Tour or the Pilgrims Tour booking directly is the only way to do them. The temperature in the mines ranges from 14-16 degrees so make sure you dress appropriately. There are 800 steps and over 2km to walk. Wear comfortable shoes. Although the tunnels aren’t tight, your initial descent is quite close and this site is not the most suitable for claustrophobia sufferers. You need to buy a permit to take photos. The tunnels are vast, stay with your guide or risk getting lost.